Trying to find a cute preemie outfit can be quite difficult. I remember when a friend of mine had a baby born prematurely, I had a really hard time finding a cute, affordable preemie outfit for her new baby. It was almost nearly impossible! And if you want to find something personalized and fit for a preemie- then forget it! Sisters, Kim Johnson and Jaclyn Haley ran into the same predicament when they were in search of a personalized baby gift for a mom-to-be. They decided to have a bodysuit embroidered with “Diapered Debutante” to reflect the new mom’s southern roots. This girly bodysuit was the hit of the shower and sisters, Kim and Jaclyn, realized they had hit a niche market. In 2006, Fig Leaf Baby was born and is based on the idea that children’s fashion is not only about the children, but it is a reflection of the parent’s own unique style and personality. Their goal was to provide comfortable, high quality clothing to trend-conscious parents. They became passionate about serving the market of preemies and low birth weight babies as there are not many options out there for parents. Preemies account for nearly 20% of the baby population so you would think there would be more selection out there for clothing, but there is not. The preemie clothing you find is almost always made of synthetic material. Many parents have resorted to dressing their babies in doll clothing. Fig Leaf Baby has some adorable clothing! 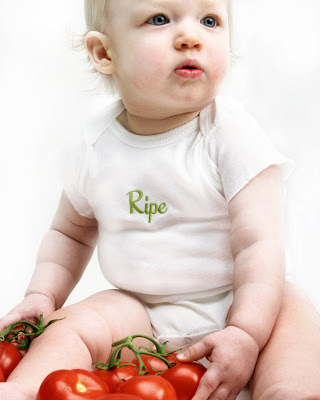 Each garment is embroidered with Fig Leaf Baby’s “Distinctive First Words”. There are over 20 first words to choose from including “Full Bodied & Ripe” and “Chauffeured”. Their clothing is so soft and luxurious as its made from 100% Peruvian Pima cotton. It contains only organic vegetable dyes and the embroidery is “no itch” and the backing will actually dissolve upon first wash and will leave nothing to irritate your baby’s skin. I received the pink “Play Dating” tee with white embroidery in size 24 months. This tee looked so sweet on my little niece, Avery. It feels incredibly soft and the embroidery did not bother Avery after we washed the tee. My sister love the cute play on words and thought it was a unique concept. 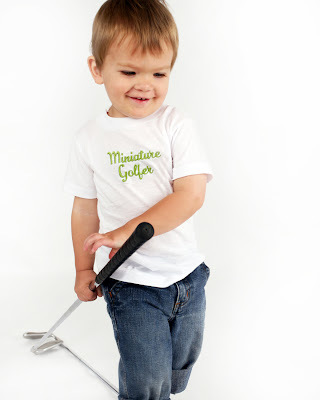 This particular tee is priced at $25 on the Fig Leaf Baby website. It may be more than a tee at Walmart, but the quality is top notch and contains no synthetic materials. It is also extremely cute!! Fig Leaf Baby has a full range of preemie and infant/toddler clothing including bodysuits, pants, tees, kimono dress and kimono jacket. The Kimono Dress is really adorable and a great price! If you are looking for a unique and trendy gift to give to a friend for a shower or know someone who has a preemie, then you should definitely check out Fig Leaf Baby. You can purchase their products via their site or find a store near you that carries Fig Leaf Baby products. Fig Leaf Baby is offering my readers a 15% discount on your purchase at their website. You can access the discount with the coupon code: SIMPLYSTACIE15.